There are several ways of measuring your ideal body weight. One of the most popular methods to gauge whether or not you are overweight is the body mass index (BMI). The BMI uses a mathematical formula that measures both a person’s height and weight in determining obesity. To calculate your BMI, multiply your weight by 703, and divide the answer by your height in inches. Divide this figure by your height again. For example, a 250-pound person at 5’10" would have a BMI of 35.86. People with BMIs of 25 and above are considered to be overweight. Having a body mass index over 30 places you at risk for developing obesity-related medical conditions such as diabetes, high blood pressure and coronary artery disease. A BMI over 40 indicates that a person is morbidly obese. Low -- You don’t participate in any regular physical activity, or you are involved in recreational activity only on the weekends. 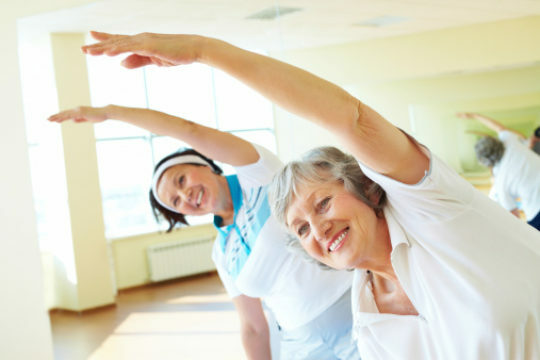 Moderate -- Your physical fitness program includes aerobic activity for 30 to 60 minutes at least three times a week. High -- You exercise vigorously for 60 minutes or more at least four times a week. The Food Guide Pyramid is an excellent tool for making sure you are meeting your nutritional needs while trying to lose weight. With the proper balance of foods, you can lose weight and improve nutrition. For an online resource, go to www.mypyramid.gov. In addition to changing your diet, mildly restricting calories and keeping track of what you eat, it is very important to include exercise as part of your weight loss and weight maintenance efforts. Discuss with your physician what is the best exercise for you, but make a point to exercise.